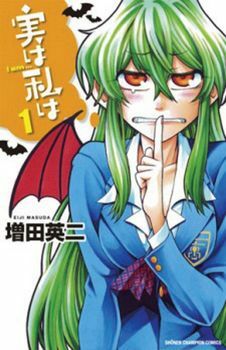 Each volume of the manga features a charmingly eccentric art style and contains colour inserts. High school student Kuromine Asahi is the kind of guy who literally cannot tell a lie.Whether it's trying to maintain a poker face in a simple game of cards, or keeping scurrilous gossip to himself, Asahi is a total failure when it comes to the art of deception. So what happens when he stumbles upon the most shocking secret of his life? When Asahi learns that Shiragami Youko, a beautiful girl of few words, is actually a vampire. Can Asahi possibly keep his lips sealed? Soon to be an anime, a high school rom-com with monsters!